Underlayment for laminate flooring is very important, as important as choosing laminate. Underlayment has many functions. It is a sound barrier which means that walking on laminate flooring is quieter if underlayment is installed. That can be especially bothering for your neighbours. On the other hand it can partially protect you from laud music of your neighbour. Underlayment for laminate flooring is also used for water barrier. Concrete subfloor contains humidity which can permanently damage your laminate flooring. Underlayment physically stops water to come in contact with flooring tiles. If you lay padding it protects tiles to get mouldy and prevents swelling of tiles. For additional protection against water we recommend laying vapour barrier under padding. Concrete is very cold material and padding works as isolator between concrete subfloor and laminate flooring. 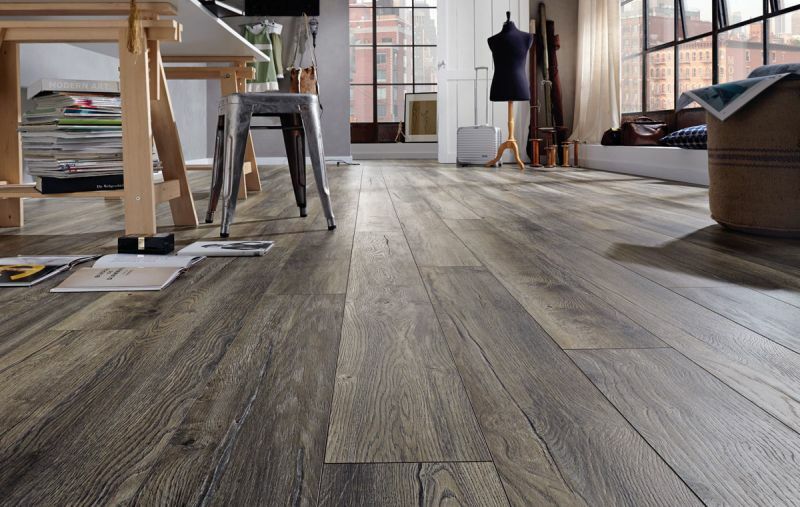 Laminate is much warmer and pleasant to walk on, if you lay underlayment. Laminate flooring underlay insures good stability for laminate tiles and allows natural contraction of tiles which occurs because of room temperature and humidity. It is also great for masking minor imperfections of subfloor. Laying laminate flooring underlay can be quite time consuming process. Laying of padding has to be done precise and correct. It is especially important that no damage to underlayment is done when laying the padding. Underlayment can easily get torn and if it is damaged it doesn’t preform as it should. It has to be fixated to surface so it doesn`t move when laying tiles on it. There is an easier way of laying underlayment. 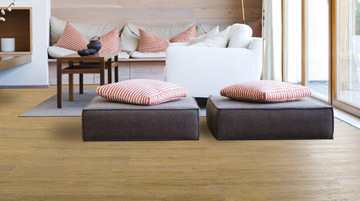 You can choose laminate flooring with attached pad. Laying of padded tiles is very fast and simple. There is very low chance of damaging padding during laying process. Because you don`t have to be so attentive to underlayment during laying you can concentrate on seams and finished appearance of your floors. There are many types of underlayment for laminate flooring. Most often used are foam, rubber and cork underlayment. Foam underlayment for laminate flooring is budget friendly and is most commonly used padding. Rubber underlay for laminate flooring is the best option for concrete or for wood subfloor. It is very effective for humid rooms. It protects laminate flooring from moisture that could permanently damage it. It is also very good insulator between underfloor and tiles. If you lay cork underlayment for laminate flooring you will get the best sound barrier and also very good temperature isolator.